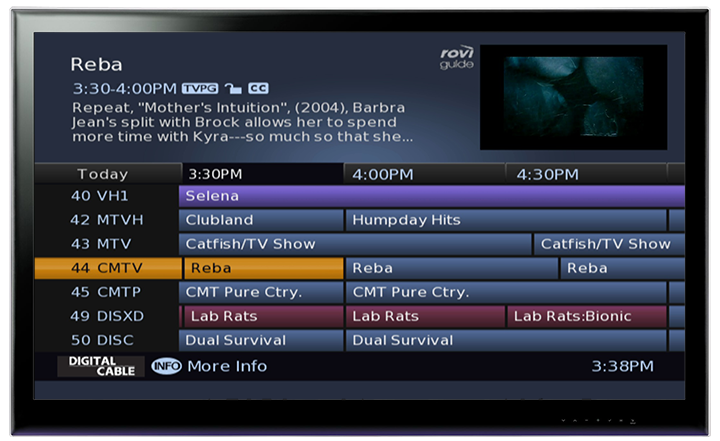 Rovi DTA Guide allows cable operators to provide the millions of analog TV subscribers on their networks with the benefits of an interactive program guide (IPG) — “a necessity” for many TV viewers, according to usability research. Designed for homes with digital terminal adapters (DTAs), Rovi TV guide can help ease the transition to all-digital for both operators and subscribers by providing TV listings, detailed program information, parental controls and more without adding complexity. eBOX is a registered trademark of Evolution Digital, LLC. All rights reserved. eVUE-TV and eVUE are registered trademarks of Evolution Digital, LLC. All rights reserved. TiVo and the TiVo logo are registered trademarks of TiVo Inc. and its subsidiaries worldwide. All rights reserved. All other trademarks and logos are property of their respective owners.